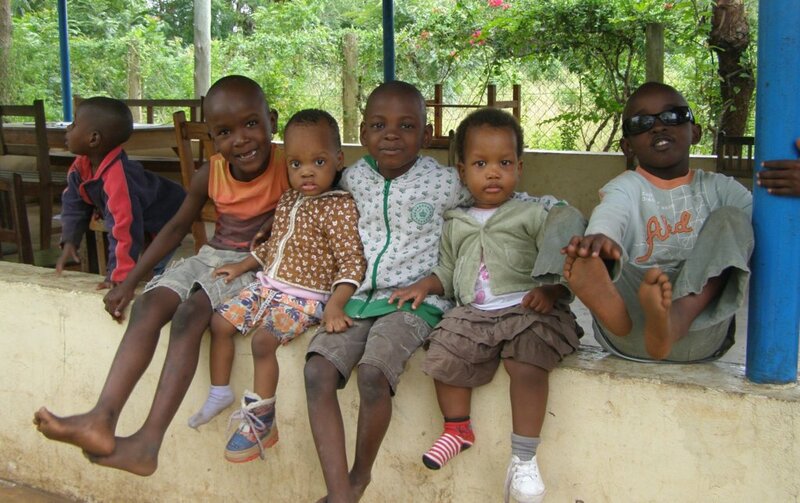 Like any Home, Diani Children’s Village continues to evolve with the changes in circumstances of each Child, and the addition of new needy Children. The socioeconomic situation in the Country and the Local County in many ways defines the direction that we move. The proportion of children under 4 years is way above what is has been I the past and each Child has his or her unique set of challenges and needs, meaning an increase in the amount of work that each member of staff has to do just to keep things on track. Thankfully, the older children have now come to recognize that they are part and parcel of the fabric of the Home and are taking up some of the non-specialized jobs. 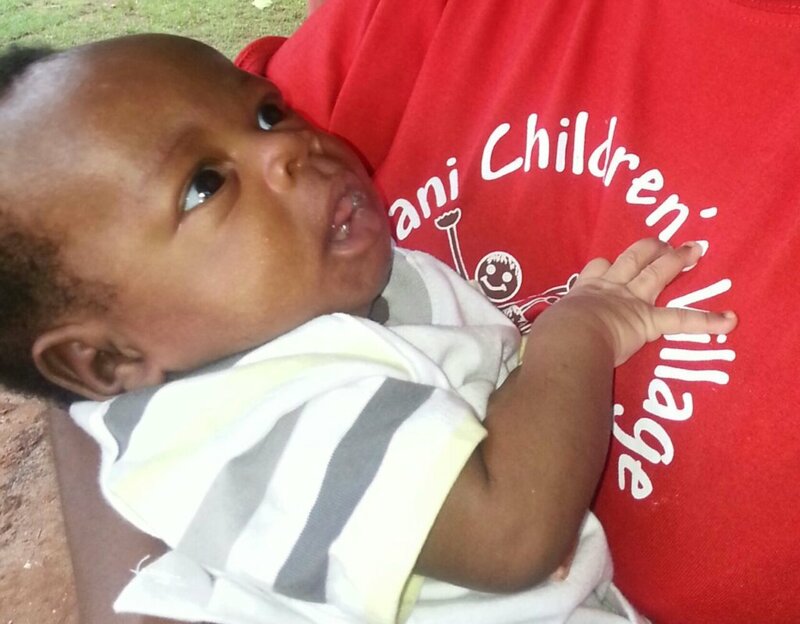 Baby Victor – he is now three months old a is doing incredibly well. 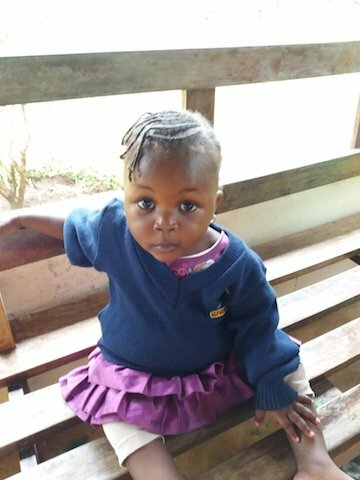 As at now, efforts to trace any relatives have not been fruitful but we are hopeful that the social worker and her team will find someone. Baby Miriam – is now one month old. She was found abandoned on a rubbish heap and was in a very bad state with cuts and scratches to her whole body. 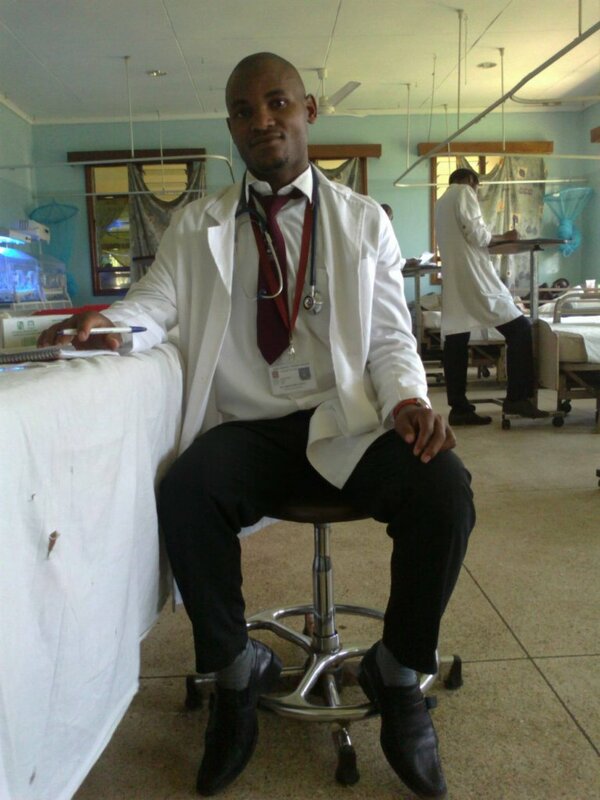 She has been diagnosed as HIV positive, which means that her care is done by a very limited number of staff. 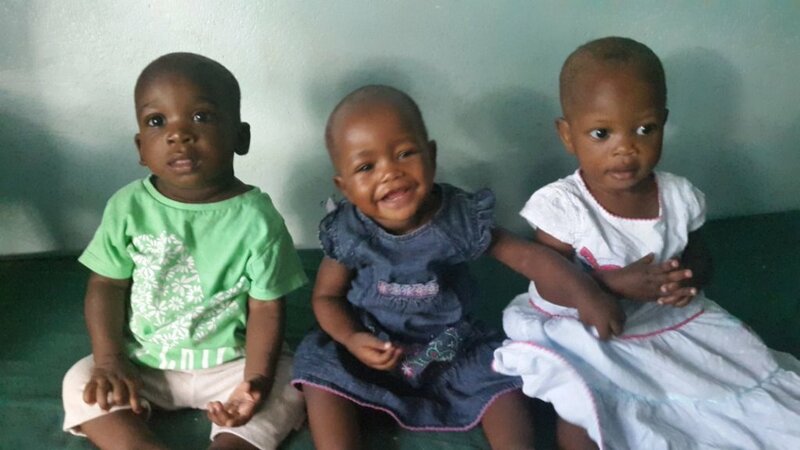 It is our hope, as has happened before with infants, that her status will reverse if she continues to receive the care, nutrition and medication that she now has access to. Lydia – is one of the Children who has had a particularly difficult past. She has worked very hard to overcome the challenges that her early years presented her and having graduated from a college that taught beauty therapy, she has now successfully completed her work probation and has been given a three month contract at a five star Hotel and Spa here in Diani. She continues to show commitment to achieving her goal of becoming a fully fledged beautician and opening her own business. 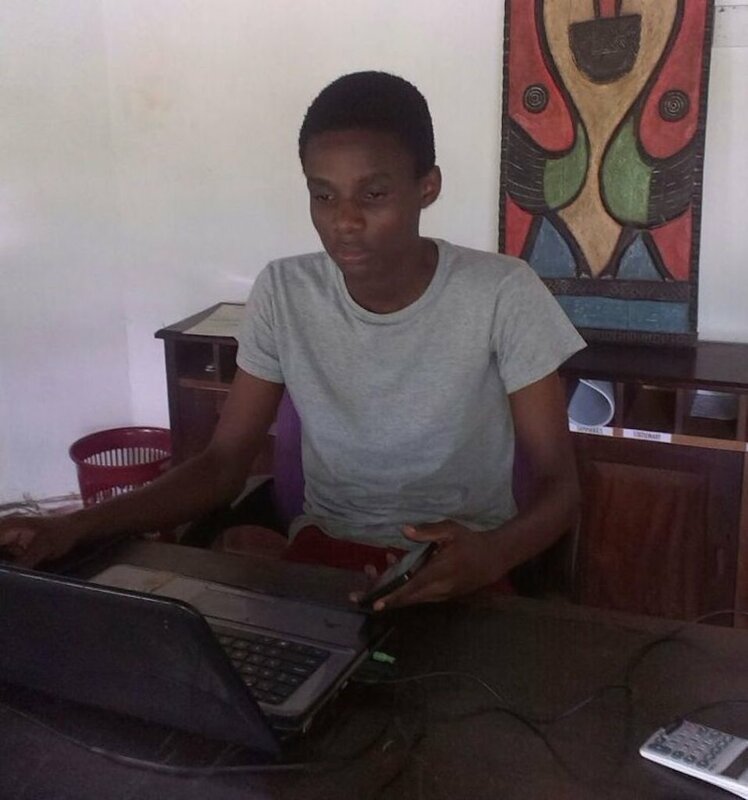 Mwanaasha – as the youngsters grow and start to take charge of their own destiny, we often find that they have hidden talents. Mwanaasha has a beautiful voice and also has a talent for songwriting. She has joined a local gospel choir run by the manager of a local airline and she is going from strength to strength with her singing career. Her dream is still a long way off but she has made a fantastic start. 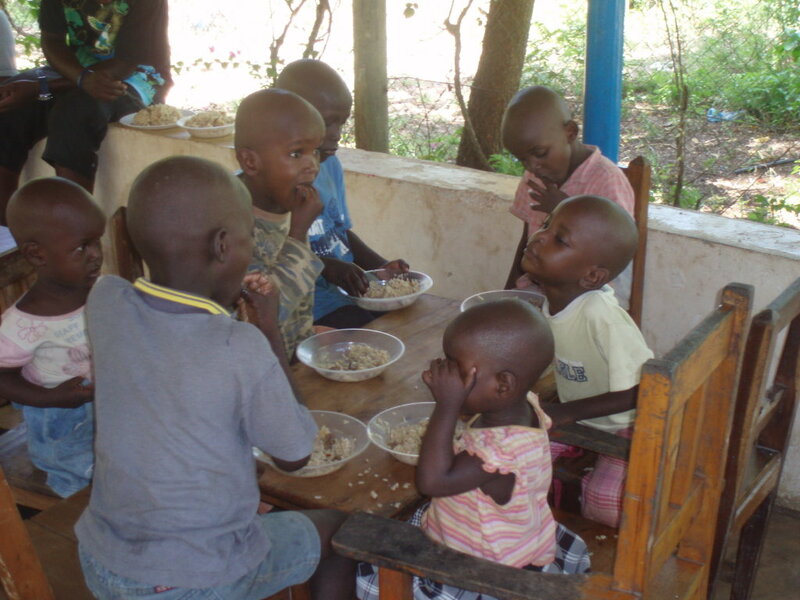 The Child Adoption program has also been running very successfully. 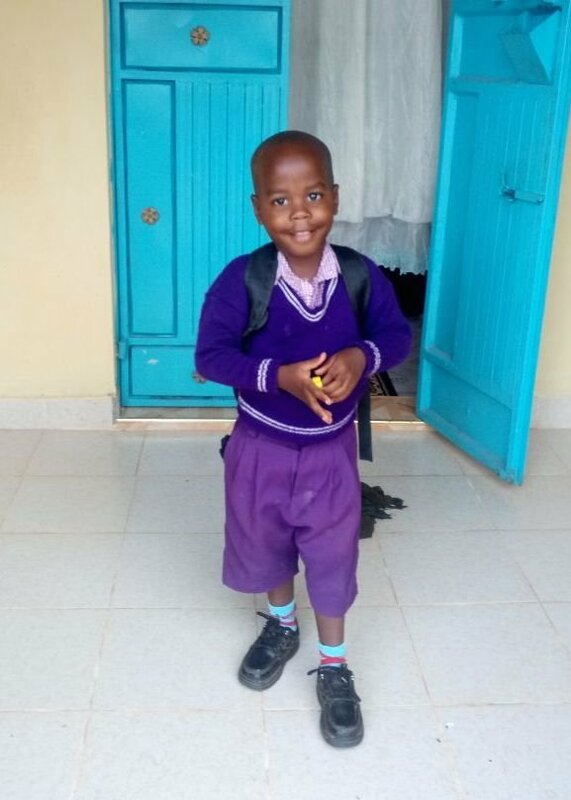 It is the Law in Kenya that should a Charitable Children’s Institution (of which DCV is one) be unable to find any living relatives of the Children, then the next best option is to find them adoption parents. 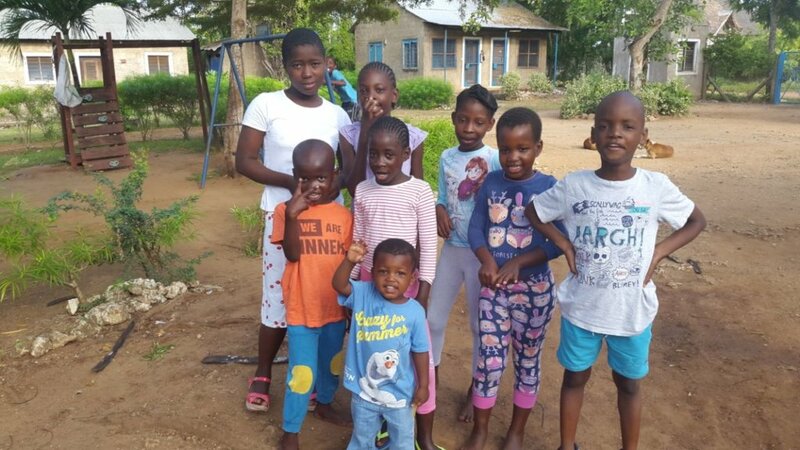 The process so far has been gone well, with the adoption parents keeping in contact with the Home and seeking advice and assistance from the Social Worker if things become a little difficult. For the Home to run, transport is an essential element is keeping things going in an efficient manner. We have a 14 seater minibus that has been the work horse, taking the Children to school and activities, bringing the staff to work and dropping them back home and providing the essential link to the rest of the working world that is needed to operate. Our bus has done its’ time and it is becoming more of a burden than a help, as the frequent breakdowns and costs of repairs are becoming prohibitive. After a great deal of discussion and deliberation, we have set as a new challenge, a campaign to raise funds to buy a replacement vehicle. 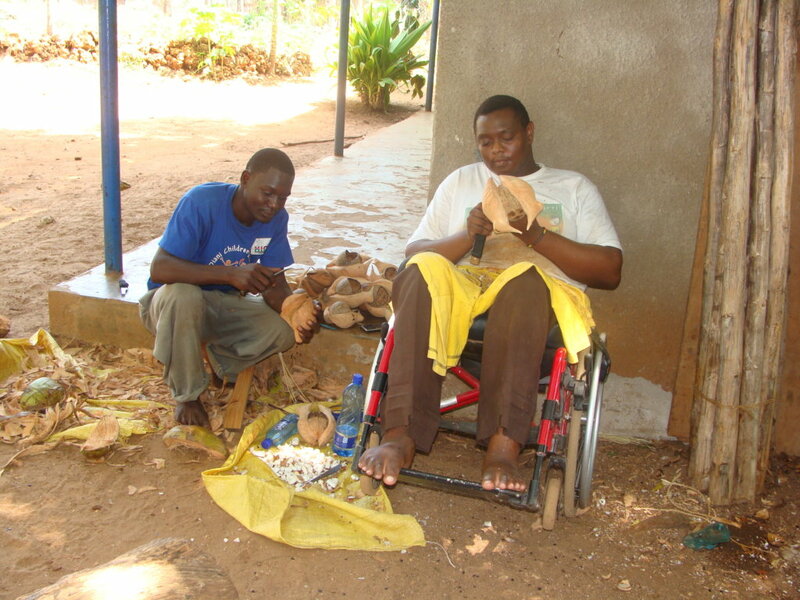 It is a question of how we utilize the resources that we receive. 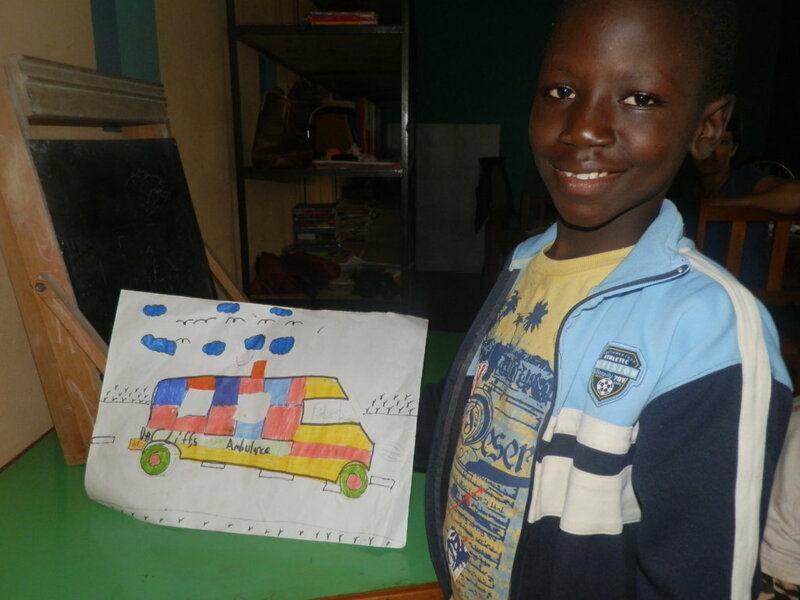 ‘Do we repair the bus or do we buy the essential items for the well-being of the Children?’ We would like to invite you to be part of this campaign for the long term benefit of the Home. The long rains have settled in and this year we have been blessed with unusually heavy rains. This is very good for the gardens and we hope to be able to supplement the vegetable needs for the Children from our very own home grown veggies. Like any Home, change is inevitable and more so in our case with the changing role of the Home in our community. 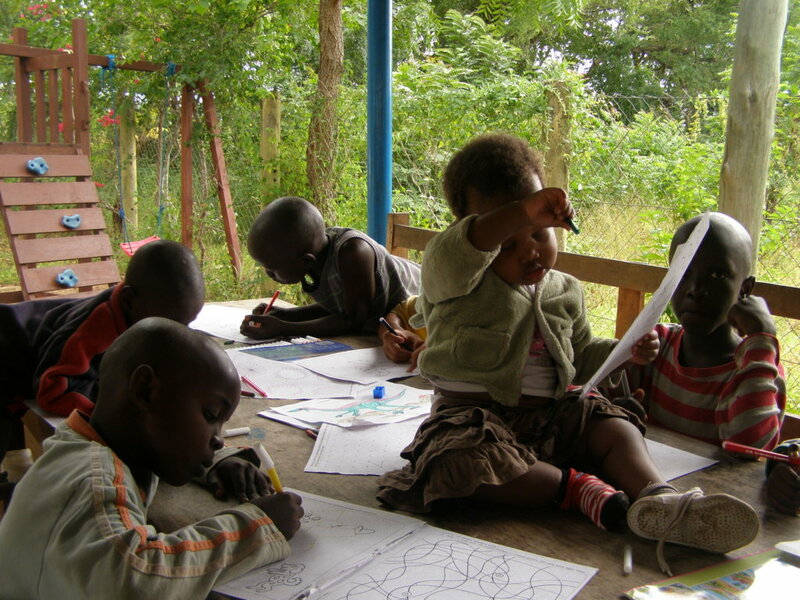 The Home is fast becoming the rescue center of choice for the Children’s Department. 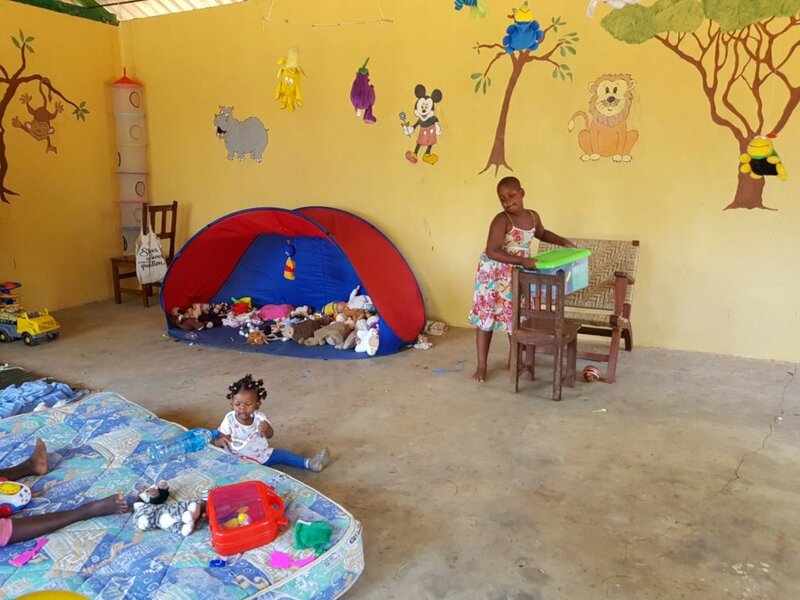 It happens often that cases of children who are in urgent need of care arose at the most awkward of times necessitating the daily routine be changed to accommodate these children. 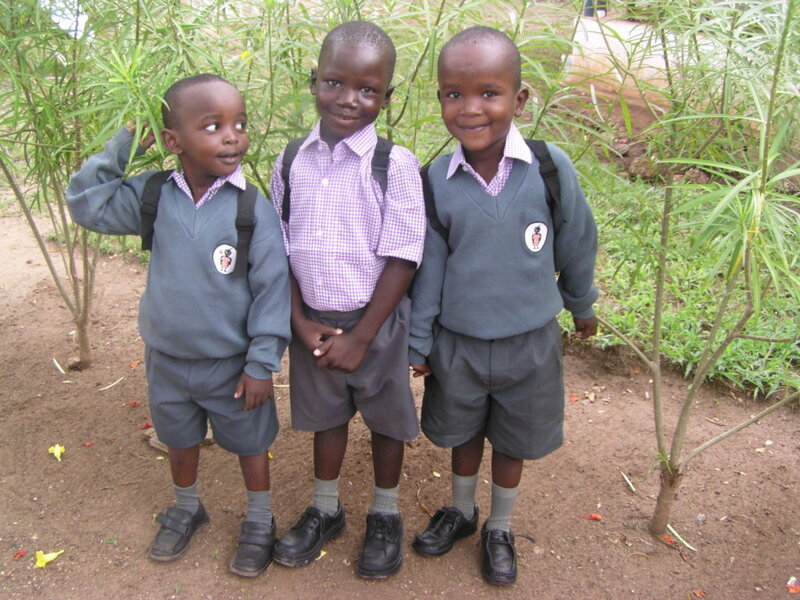 We recently had a case where three children were rescued at the border between Kenya and Tanzania. The Government officers at the border became suspicious as the adults tried to get the children across the border without the correct documentation. The three are now at the Home, and efforts are underway to try and find their families. An update on Baby Rita; She is doing very well and despite her tiny frame, she displays the spirit of a fighter. The adoption program has been surprisingly successful. Three of the younger children have been adopted and by all accounts the bonding is going according to plan. 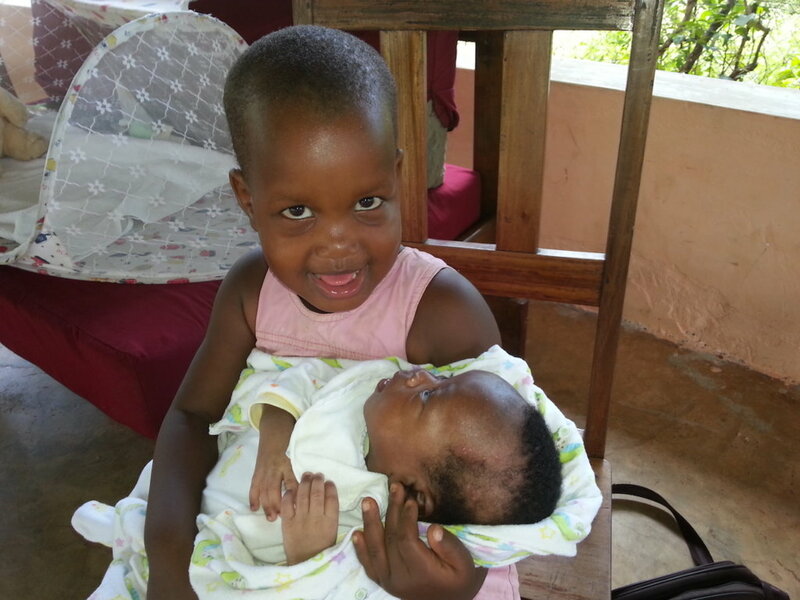 We have another adoption in progress with one of the older children. 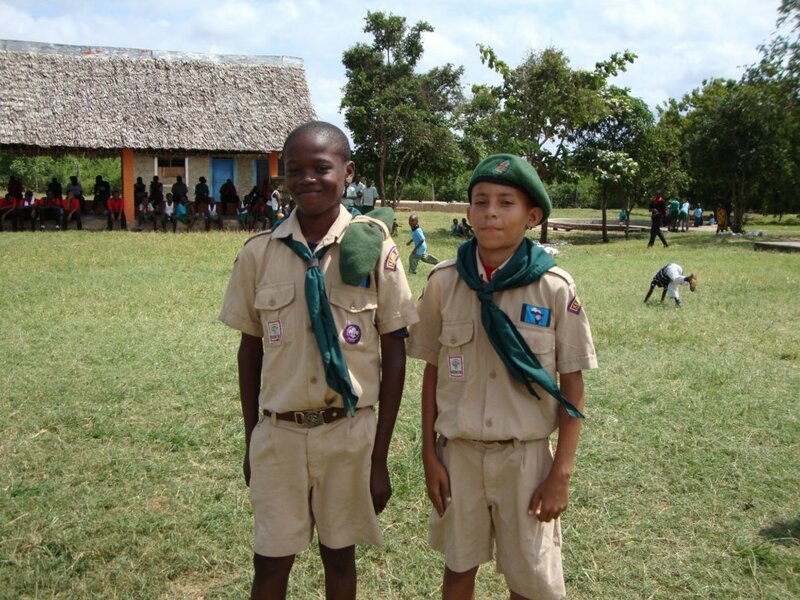 We believe that this is the best way for the children to have a normal life in a secure family setting. As always, our biggest challenge is funding. With more children in upper end of the education system, the costs of running the home are close to exceeding the funds we raise. We are making our best efforts to bridge the gaps and any additional help is most welcome. As time and tide wait for no man or woman, it is our duty to keep moving forward on the path to the future for those in the care of the Home. We try to do this with little steps but confident that each step is another building block in the foundation of the lives of the Children. 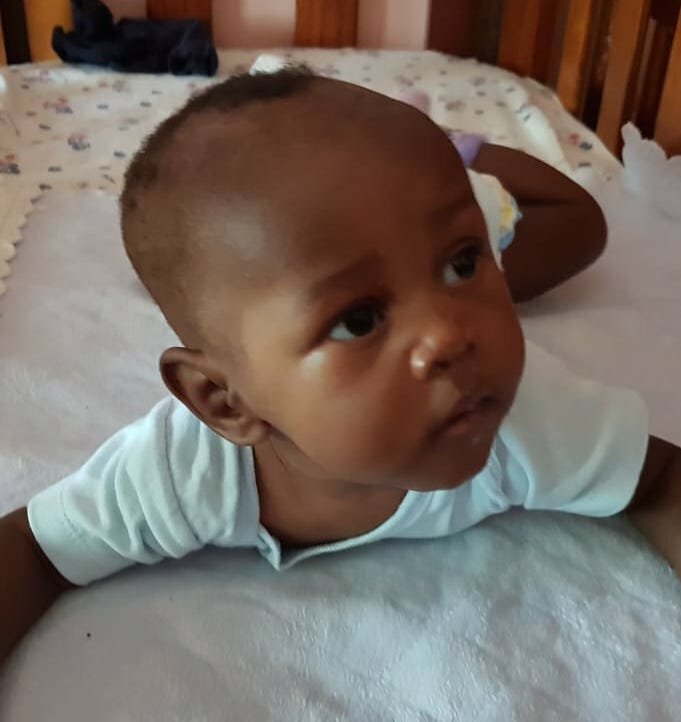 Baby Rita ( Zawadi - meaning a Gift in Kiswahili ) – she is now much improved since the last newsletter, she did have a relapse that necessitated her hospitalization again. Though she is nearly five months old, she has the appearance of a two month old! 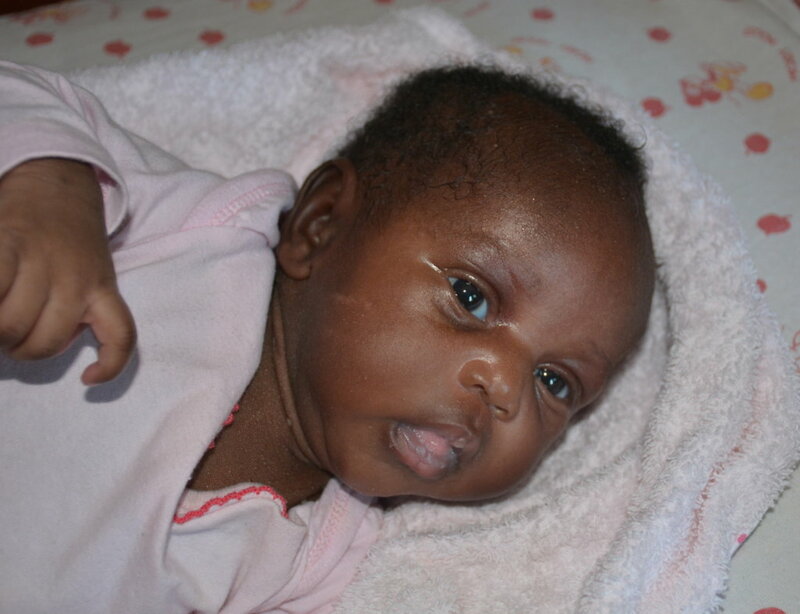 Rita suffers from an under developed gastro intestinal tract arising from poor nutrition by her mother while pregnant. This has resulted in her not being able to digest milk that has cow protein. She is on a special formula and under the care a single housemother to ensure her care is followed precisely as directed by the Doctor. 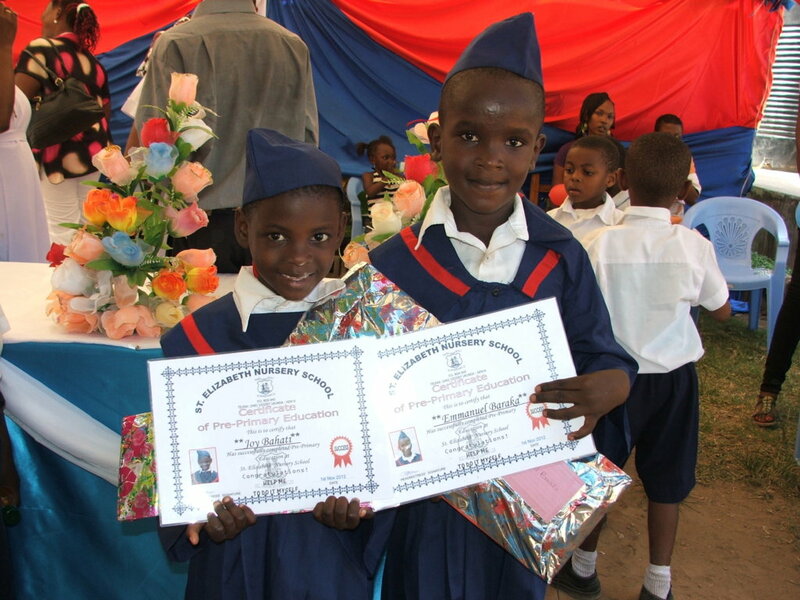 Esther - She is one of the first children that the Home received way back in 1995 together with her twin Helen. 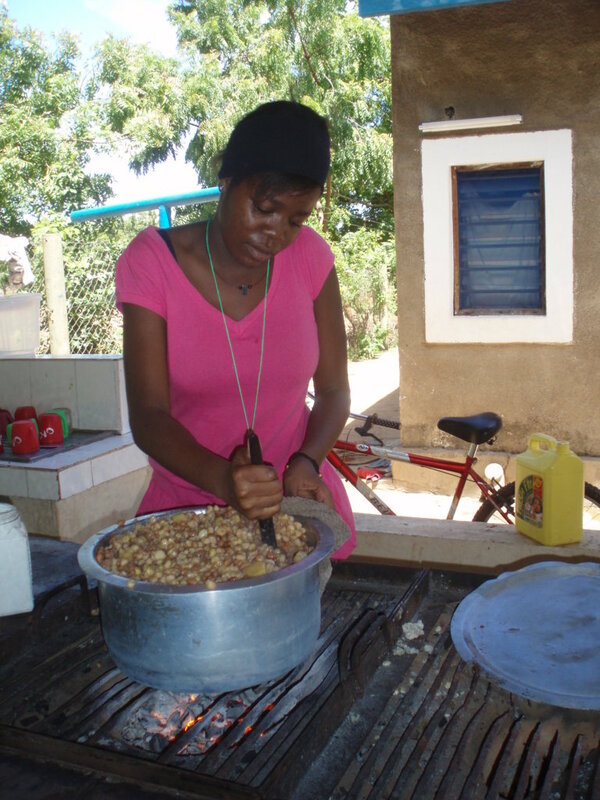 Esther is now training at the 5 star Nomads Resort in their restaurant. She loves the work, and extremely happy she has been given this opportunity. It is amazing how well these young people rise to the challenge and work hard when they are given a job that they love. Angelina – She is one of the Home’s success stories. 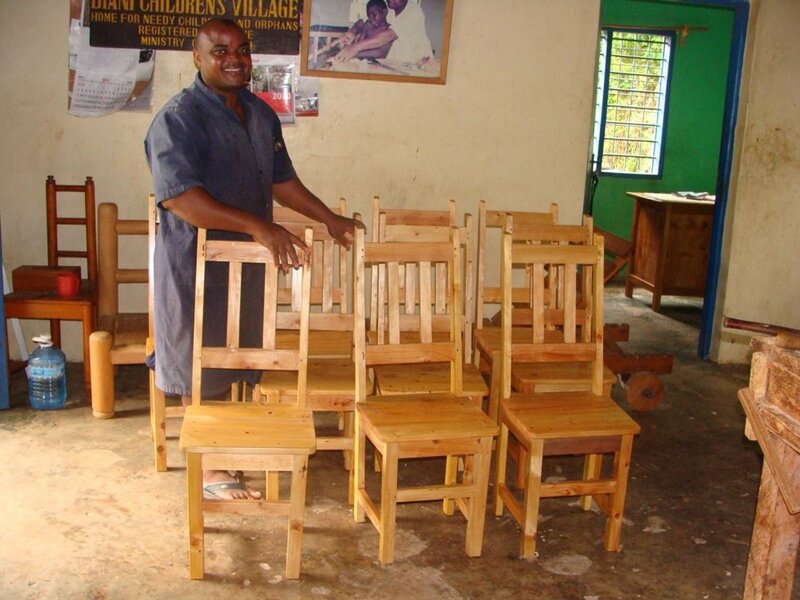 Having trained in Uganda at the Nagenda International College of Arts and Design, she has now set up her own business that she calls Asante Fashions designing clothes for men, women and also household items like bathroom set, table sets, kitchen sets and also curtains. 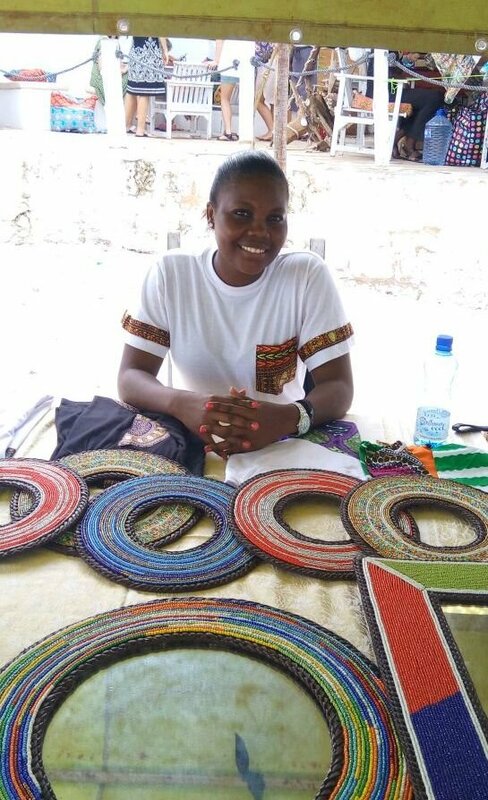 She has recently exhibited her creations at the Christmas Craft Fair held at the Sands at Nomads where she sold many of her wares and also secured a good number of orders from resident homeowners and visitors to Diani. 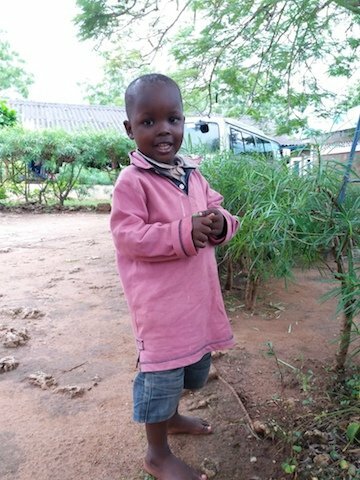 In line with the Laws of Kenya and considering the best situation for the Children who have no known relatives, we have now had the second adoption of one of the youngsters. 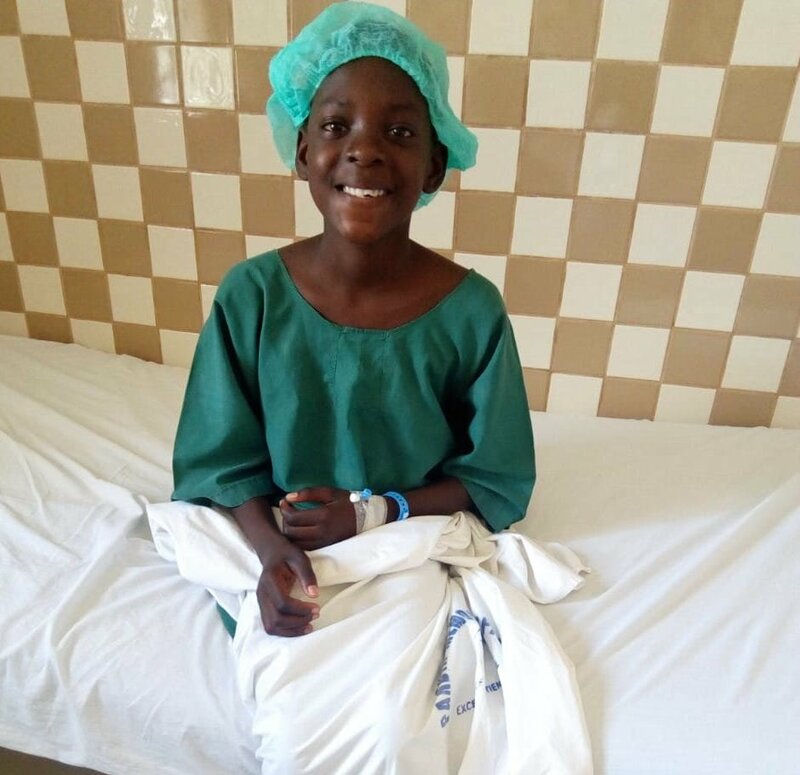 The bonding process has been very successful and we hope that this is the start of a new and exciting life for the Child. Monitoring will continue for up to a year to ensure that the family situation is as smooth as possible. On behalf of the Children, the Staff and the Managing Committee, we would like to thank everyone for the warm wishes and the support that you have given and continue to give the Home. May we take this opportunity to wish you a Happy Easter. 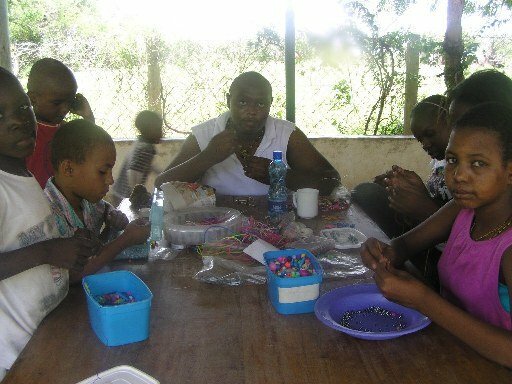 We often forget why institutions like Diani Children’s Village were set up and people may inevitably lose sight of the life long path that the Home is trying to craft for these young people. With each passing month, new situations mean that the circumstances of each child changes, and must be met with new solutions. The young adults continue to surprise and delight everyone with their individual achievements some of which are truly remarkable. In her free time she does work experience at a four star Hotel in Nairobi. This is a young lady that almost everyone had given up hope in during her school years! 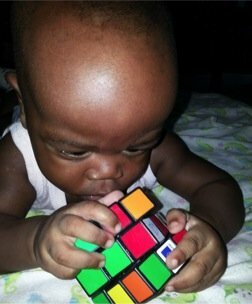 Moses was discovered to suffer from epilepsy and has very poor muscle coordination. 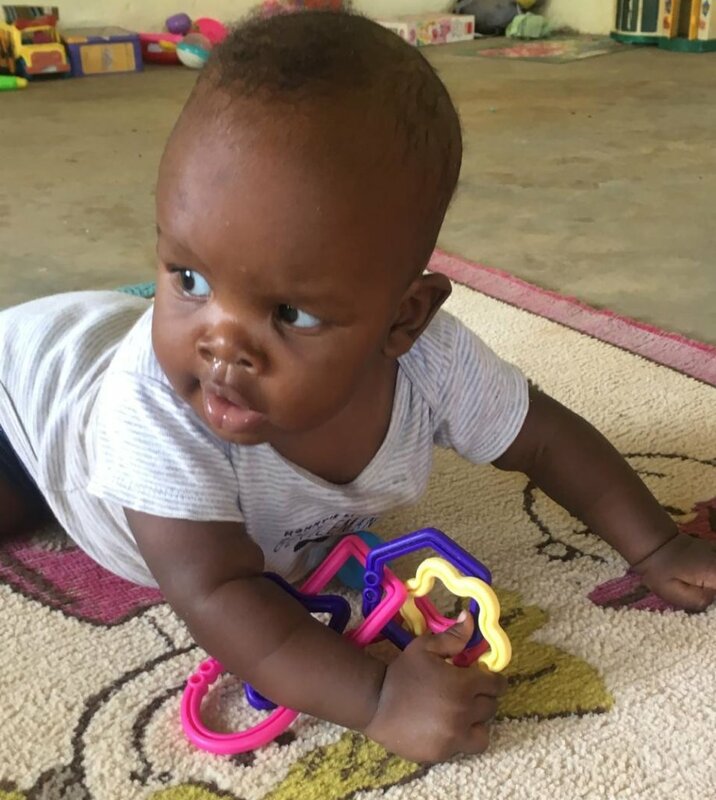 He was put on medication and has been undergoing therapy at a clinic in Ukunda and can now almost crawl like a normal child. 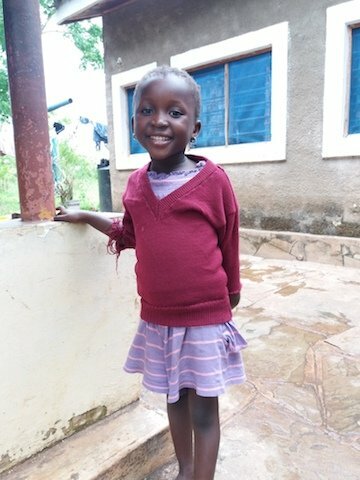 Naira was found to have a physical defect in her legs such that she was unable to stretch her legs and place her feet flat on the floor. 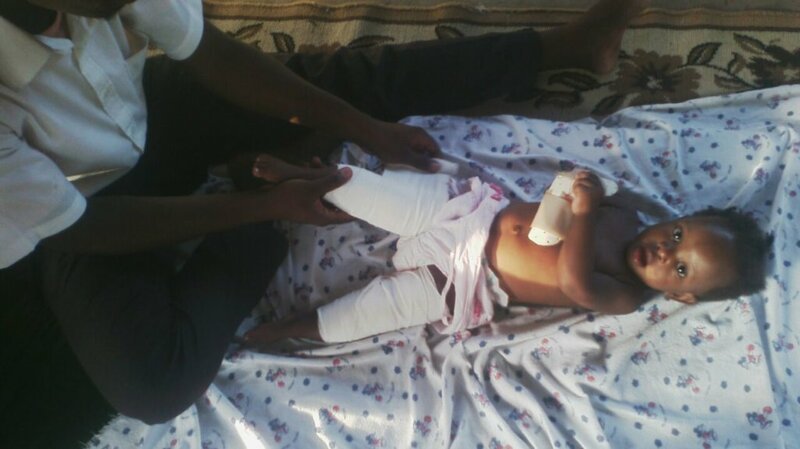 She too has been undergoing therapy at the same clinic and with a rather strict regime of splints and bandages on both her legs she is now also almost able to crawl. This quarter, the Home had the first successful adoption of one of the children. 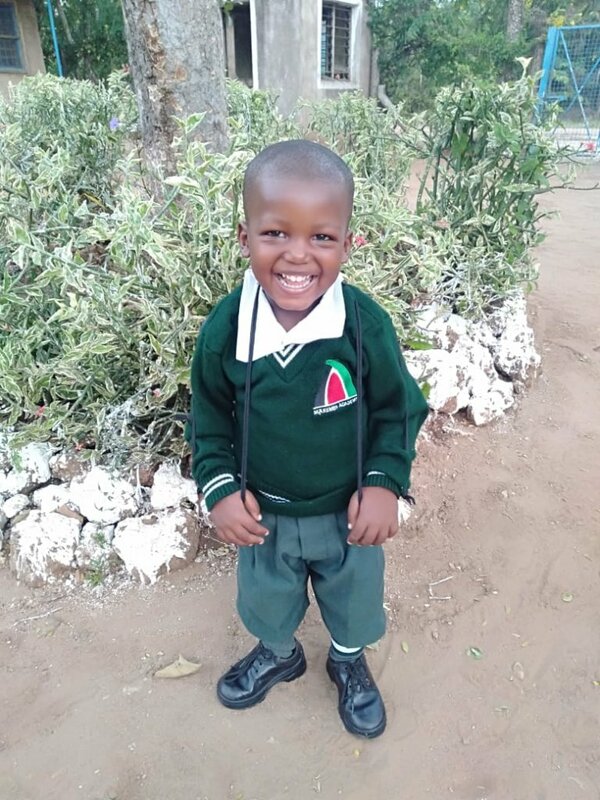 The child seems to have settled well with his new parents and the phone calls thus far are extremely encouraging that the adoption will be a success. 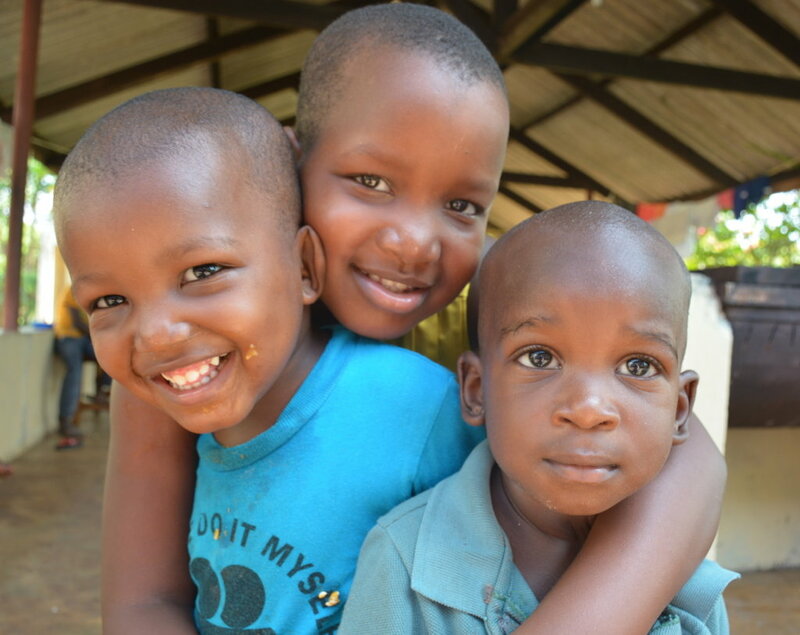 On behalf of the Children, the Staff and the Managing Committee, we would like to take this opportunity to wish you all God’s Blessings during this Festive Season, and our best wishes for a Peaceful and Prosperous New Year.